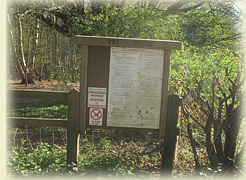 The Recreation Ground is owned by a charitable trust which in turn is controlled by Pulborough Parish Council. In days gone by it was an open area surrounded by mature oak trees which was home to the local cricket ground. More recently, with the cricketers gone and the passage of time, it became a wooded area and haven for wildlife. Following a vigorous campaign by Nutbourne residents, described on this page, Pulborough Parish Council has given assurances about the future of the Recreation Ground, initiating gentle forestry management and investing in fences and gates to prevent damage by vandals or travellers. The name 'recreation ground' quaintly reflects the use of English in the mid nineteenth century - it is not a playground, rather it is a tranquil place for ramblers and dog walkers to stroll and reflect, and in modern times for children to make camp in the summer, away from television and computers. For information about the Recreation Ground's history, please visit our feature about The Common. Please note that there is no parking at the recreation ground itself, but it is just a short walk along a level public footpath from Nutbourne Road, located between Bramfold Court and Bramfold Farm, about half a mile from the centre of the village and a quarter of a mile from Stream Lane. The turning is clearly marked and the Recreation Ground is identified by a Board of Bye-Laws from Pulborough Parish Council and a latch gate. Pulborough Parish Council has secured the services of the Sussex Wealden Greens and Heath Project to restore Nutbourne Recreation Ground as a heathland area surrounded by trees. This group works under the auspices of the South Downs Joint Committee who are currently engaged in the restoration of a number of areas of heathland across the County. This is part of a National Scheme and there have already been a number of successful projects locally, including Monkmead Woods, Hurston Warren, and Wiggonholt Common etc. Sussex Wealden Greens and Heath Project completed a survey in 2006 and agreed an Action Plan, which their volunteer workforce has progressed, establishing a central clearing by removing small trees and removing dead wood and brush to clear the footpath. Pulborough Parish Council has replaced the gates to prevent unauthorised vehicular access while making it easy to visit on foot. Local people lobbied Pulborough Parish Council to give assurances about the maintenance and upkeep of the village's ancient common, highlighting how the name 'Recreation Ground' fails to capture the quintessential nature of the area of natural beauty. 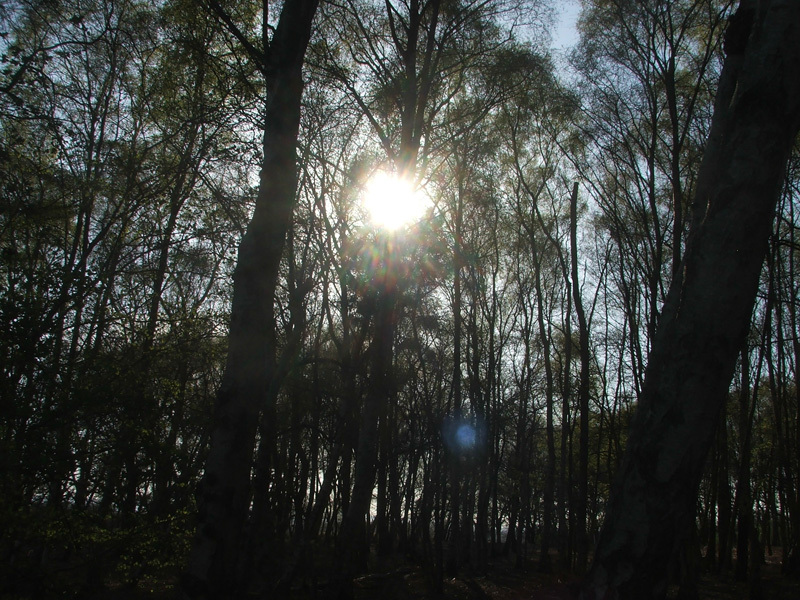 Their petition resulted in assurances from the PCC that "Its current condition is as far as it is intended to go and from now on the programme is to keep it as safe and beautiful woodland." View details of the latest reports and surveys about Nutbourne Common and the work to preserve and restore it, all of which are available to view on screen or download and keep.